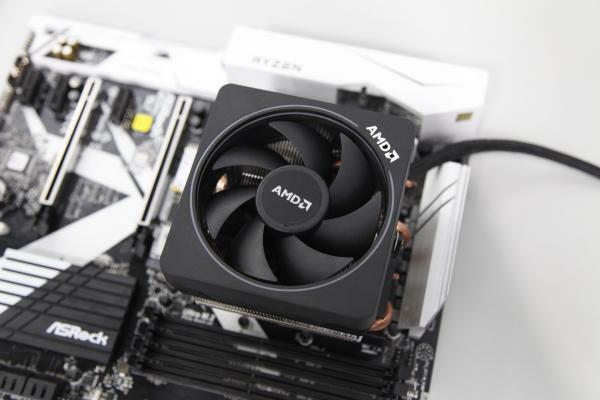 Advanced Micro Devices, Inc. (NASDAQ: AMD) upped the ante in its battle for semiconductor supremacy at its "Next Horizon" event Tuesday in San Francisco. On Sunday, Intel Corporation (NASDAQ: INTC) unveiled two members of its Xeon server processor lineup: the Cascade Lake advanced performance processor, scheduled for release in the first half of 2019, and an entry-level Xeon E-2100 processor. AMD announced its own innovations. The company announced specifications for its upcoming Zen 2 high-performance x86 CPU processor core architecture. AMD launched the 7nm Radeon Instinct MI60 graphics accelerator for data centers. The product is due later this year, with AMD claiming that it is the "world's only hardware virtualized GPU." AMD also unveiled its next-gen 7nm EPYC server processor, codenamed Rome. Rome is set to have 64 Zen 2 cores and increased instructions per cycle, doubling the compute performance per socket. "Rome is sampling with customers now and is expected to be the world's first high-performance x86 7nm CPU," according to AMD. AMD's multiyear investments in data center hardware and software are behind growing adoption of the company's CPUs and GPUs, said Lisa Su, AMD's president and CEO. "We are well-positioned to accelerate our momentum as we introduce the industry's broadest, most powerful portfolio of datacenter CPUs and GPUs featuring industry-leading 7nm process technology over the coming quarters." Multiple 7nm-based products are in development, including the EPYC CPUs and Radeon Instinct GPUs, according to AMD. The chipmaker indicated that its follow-on 7nm+-based Zen 3 and Zen 4 x86 core architectures are on track. Investors cheered AMD's product announcements by sending its shares about 4 percent higher Tuesday. The stock was up more than 6 percent at $21.93 at the time of publication Wednesday.